Kafui Dzirasa ’01, M8, chemical engineering, has received this year’s Presidential Early Career Award for Scientists and Engineers (PECASE). It’s the highest honor the U.S. government can bestow on a young researcher, and Dr. Dzirasa is one of 105 awardees selected by President Barack Obama. Dr. Dzirasa earned both his M.D. and Ph.D. from Duke University. He is now an assistant professor of psychiatry, behavioral sciences, and biomedical engineering at Duke’s medical school. As head of the university’s Laboratory for Psychiatric Neuroengineering, he is working to develop a kind of pacemaker for the brain that can jump-start neural circuits and, as he puts it, “reconnect [the] soul to the mind” in patients with neuropsychiatric ailments like schizophrenia. This isn’t the first time Dr. Dzirasa has been recognized for his groundbreaking research. In 2013, he received the Sidney R. Baer Prize for Innovative and Promising Schizophrenia Research from the Brain and Behavior Research Foundation. He and the rest of this year’s PECASE recipients will be honored at a White House ceremony this spring. For more alumni news and updates, connect with us on Facebook and Twitter! UMBC is always full of hard-working people who aspire to do great things, and the class of 2014 is no exception. Today, we wanted to share with you what some of our recent graduates are planning to do with their Retriever education. 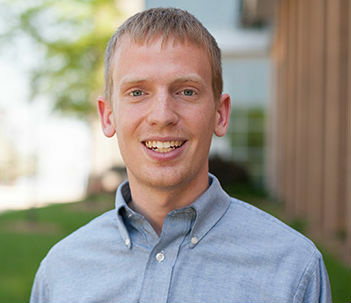 Travis Bell, psychology and political science, completed six internships, studied abroad in Chile, and received a mentorship for pursuing a career in public affairs. Along with being the UMBC Club Soccer President and the UMBC Pre-Law Society Founder and Treasurer, Bell was also selected as a finalist for the national Harry S. Truman Scholarship and won both the Outstanding Senior Award in political science and the Louis Cantori Memorial Scholarship. With his recent graduation, he plans to continue his education to earn a J.D. at the UCLA School of Law. 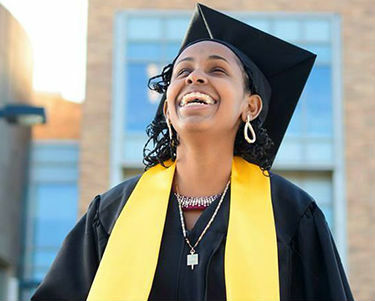 Blossom Tewelde, biochemistry and molecular biology, came in to UMBC as a science major and later found herself excelling in poetry. 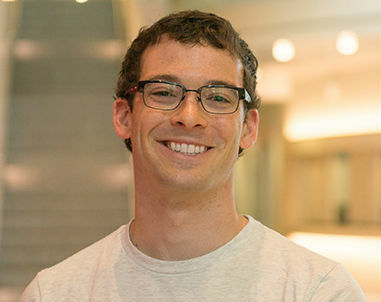 In the realm of science, the Meyerhoff and Howard Hughes Medical Institute scholar won the Donald Creighton Memorial Scholarship for Outstanding Senior Undergraduate Researcher in Biochemistry. 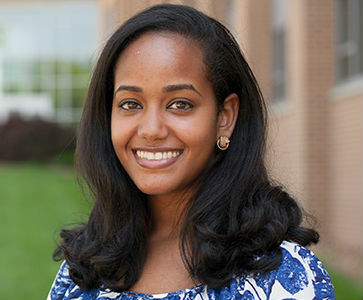 Tewelde also explored her talents in poetry, was soon published in UMBC’s Bartleby, and earned the Malcolm C. Braly Award. She plans to pursue an M.D./Ph.D at the Johns Hopkins School of Medicine. Melissa Lomax, English literature, brought a lot to the table. While at UMBC, she was president of the Maryland Association of Blind Students and held active membership in the National Federation of the Blind of Maryland. Lomax was also chosen to travel abroad to Damascus as a part of the Open Hands Youth Abilities Summit, where she “worked with Syrian youth on the topic of the United Nations Convention for the Rights of Persons with Disabilities.” There, she helped develop the comic Silver Scorpion by Liquid Comic about an empowering superhero who has a disability, which has been featured on NPR and in Time Magazine. Lomax now plans to be the Youth Services Coordinator for the Blind Industries and Services of Maryland. Read more about the Class of 2014! study the health of the Chesapeake Bay, Mitchell Donovan, M.S. geography and environmental systems, was also able to present his work at the Scientific and Technical Advisory Committee’s Chesapeake Bay workshop. Donovan’s research has been used to justify amending future models of sediment and contaminant sources. He now plans to fulfill his Fulbright Research Grant at the University of Turku, Finland, and earn his Ph.D. in watershed sciences at the Utah State University. 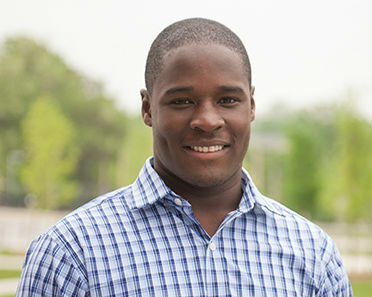 Chinwendu Amazu, biochemistry and molecular biology, came in to UMBC as a Meyerhoff Scholar, a MARC U*Star Trainee, and a Howard Hughes Medical Institute Scholar. 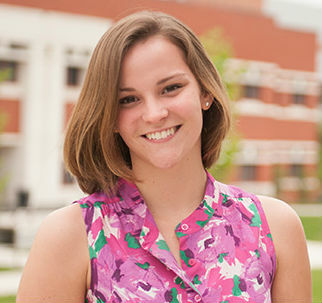 With her hard work she joined the Phi Beta Kappa Society and the Golden Key International Honor Society. Amazue also won the Faculty Award for Excellence in Biochemistry, Robert and Jane Meyerhoff Award, among others. Along with tutoring her peers in general and organic chemistry, Amazu has worked with research scientists at the Johns Hopkins Malaria Research Institute, the University of Maryland School of Medicine, and the Washington University School of Medicine in St. Louis. She plans to continue working towards an M.D./Ph.D. at the Washington University School of Medicine. After facing a life-threatening illness, non-traditional student Amy Connor, biochemistry and molecular biology, stepped back from her work as an artist and found a passion for science. Her goal now is to “inspire young students to think critically and creatively about science.” Connor plans to obtain a master’s degree in education from UMBC and teach chemistry. Find out more about the Class of 2014! For seven of her eight semesters at UMBC, Kat Schuster, theatre, dedicated her time to the costume shop on campus. 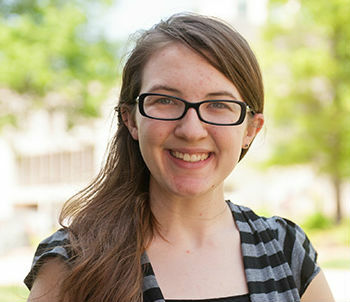 A Linehan Artist Scholar, she has been recognized by the theatre department, local theatre companies and their audiences. While aiding younger students through UMBC Residential Life and the Wilde Lake High School Theatre Department, Schuster was awarded the Outstanding Departmental Service Award along with the Linehan Summer Award. She now plans to work in theatre administration and technician and costuming positions at Daydreams and Nightmares Aerial Theatre, Historical designs, and the Jim Rouse Theatre. Mary Hester, dance and interdisciplinary studies, used her love of dance and advocacy to serve as president of the Dance Council of Majors, receive the Linehan Summer Research and Study Award, and perform at the American College Dance Festival. Her project “Arts Advocacy: Promoting Policy Change,” analyzed “the benefits of dance lessons and the political implications for arts education.” She now plans to complete an M.P.P. at UMBC. 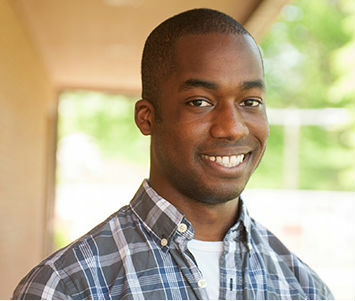 A campus leader and driven student, Kwadwo “Kojo” Owusu-Boaitey, philosophy and biological sciences, was a Meyerhoff Scholar, a Howard Hughes Medical Institute Undergraduate Scholar, and Salutatorian for the Class of 2014. He was greatly involved as a member of the club soccer team, president of the Meyerhoff Scholars, co-founder and treasurer of the Minority Association of Premedical Students, and vice president of Philosophers Anonymous. 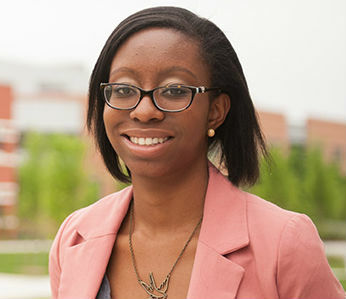 Owusu-Boaitey has completed breast cancer research at the University of Maryland School of Medicine, has done research at MIT labs for two summers, and is now contributing to a research manuscript. He plans to earn his M.D./Ph.D. from Harvard and MIT after graduation. Miss Baltimore 2014, Miss Maryland 2013 runner-up, and winner of two Miss America Academic Awards, Samantha Hawkins, cultural anthropology and interdisciplinary studies, visual research methodology, was a member of the Honors College and received the Undergraduate Research Award. She has volunteered weekly at St. Francis Neighborhood Center, was a goodwill ambassador for Children’s Miracle Network Hospitals, and interned at Maryland State Arts Council and the Smithsonian Institution’s Center for Folklife and Cultural Heritage. 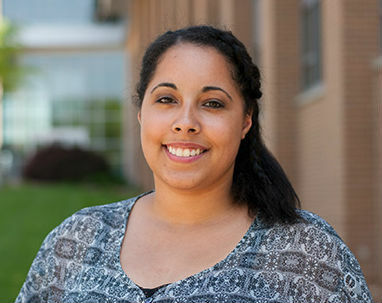 Hawkins plans to earn her Ph.D. in socioanthropology with a fully-funded fellowship at Harvard University. Learn more about the Class of 2014! UMBC by co-founding UMBC’s Industry Certification Training Group and and serving on the executive board of the Information Systems Council of Majors. She also completed undergraduate research in geographic information systems, was a member of the Center for Women in Technology (CWIT), and won the 2014 Student Leadership Award from the Department of Information Systems. Haverkamp now plans to work with the Department of Defense. 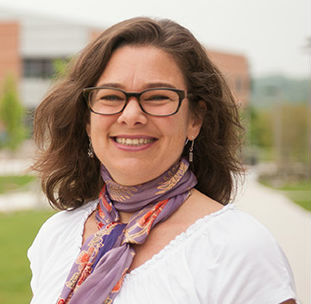 After only being enrolled for a year in the Language, Literacy, and Culture program, Heather Linville, Ph.D. language, literacy, and culture, was offered a faculty position at American University. She has taught English teachers in Indonesia, Mexico, and Panama through working abroad. In addition to her Ph.D., Linville has also earned a master’s degree in instructional systems design at UMBC. She was chosen as an English Language Specialist for the U.S. State Department plans to continue her work there while working towards a tenure-track faculty position. A Meyerhoff Scholar, Janice Antoine Lumpkin Scholar, Howard Hughes Medical Institute Scholar, and a MARC U*Star Scholar, Dalton Hughes, chemical engineering, has earned many Undergraduate Research Awards. Hughes has also worked in leadership in UMBC’s Engineers Without Borders to attempt to create sources of clean water for a community in Isongo, Kenya. He also spoke about his experiences at UMBC at the U.S. News Stem Solutions conference, and now plans to earn his M.D./Ph.D. at Duke University. 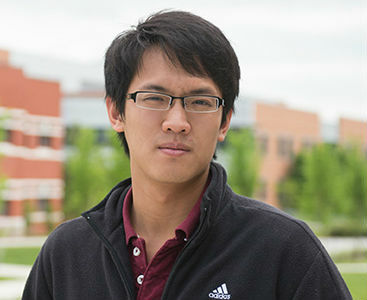 In the fall of 2003, Kevin Yang ’07 computer science and financial economics and Katelyn Niu ’05, biochemistry, found themselves in the same physics study group. But their relationship began to bloom a year later, when a computer virus brought them together. “Katelyn’s computer was affected by a virus, and she called me for help,” Kevin recalls. He admits that he took his time fixing the computer problem, making several trips to Katelyn’s place at Walker Avenue Apartments. “That gave us time to chat,” he says. Kevin and Katelyn also began bumping into one another more frequently in the dining hall. “I wasn’t stalking her or anything, but I have a good memory and I memorized her schedule. I’d show up [at the dining hall] a little before she’d get there,” he says with a playful grin. While Kevin found the time in his full academic schedule to see Katelyn, her recollection of life as an undergraduate at UMBC is a little different. “I was always so busy studying,” Katelyn says, who earned a joint Ph.D./D.D.S. from the University of Maryland, Baltimore, after graduation. Katelyn was eventually won over by Kevin’s persistence. The couple married this past fall at the Center Club in Baltimore after a two-year engagement. They live in Ellicott City, a half-way point between Katelyn’s commute to her dentist’s office in Hagerstown and Kevin’s position as an investment analyst at T. Rowe Price in downtown Baltimore. While life as young commuting professionals is busy, Katelyn and Kevin stay connected to UMBC. She uses the pool on occasion; he plays tennis on the campus’s courts. They volunteer their time at recruiting events for prospective students, and attend alumni events. They also see UMBC President Freeman A. Hrabowski, III and his wife, Jackie, from time to time. Read the full issue of the Winter 2014 UMBC Magazine. Once upon a time, Omolola Eniola-Adefeso ’99, chemical engineering, was on track to attend medical school. But she became a chemical engineer instead – so she could better attack problems such as her number one target: heart disease. Eniola-Adefeso, an assistant professor of chemical engineering at the University of Michigan, investigates radical ways of delivering medicine that could prove efficient and effective than current practice. And she may succeed because she is thinks like an engineer – and not a doctor. 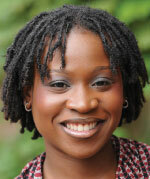 Eniola-Adefeso came to Maryland from her native Nigeria the age of 16. She began her studies at Catonsville Community College, before transferring to UMBC, where she met the late Janice Lumpkin, an African-American chemical engineering professor. Lumpkin not only guided her student into a field where her passion for technology and medicine could intersect, but also helped her become a member of the first class of UMBC students in the Minority Access to Research Careers program. 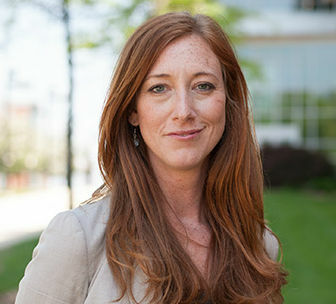 After graduating from UMBC, she took a doctorate at the University of Pennsylvania in 2004. Her scholarship for graduate studies there was actually named after Lumpkin – who also attended Penn and died tragically after childbirth in 1997. In 2006, Eniola-Adefeso (pronounced ah-DAY-feso and known to everyone as “Lola”) joined the faculty at Michigan where her lab seeks ways to create and use miniscule synthetic pellets to mimic white blood cells and deliver medicine more efficiently. Read the full story in the Fall 2011 issue of UMBC Magazine. Read more about UMBC alumni at Retriever Net, UMBC’s alumni online community.